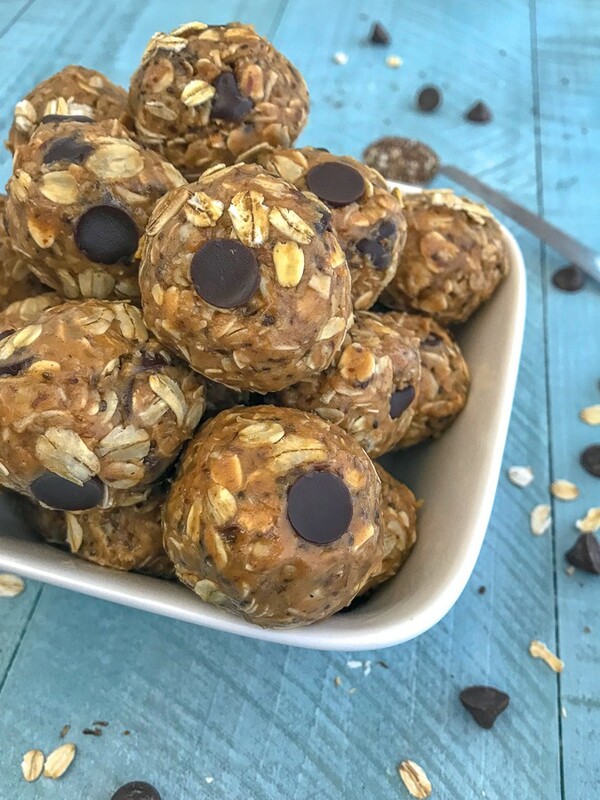 Delicious and Healthy No-Bake Peanut Butter Protein Bites are the ultimate guilt-free treat! 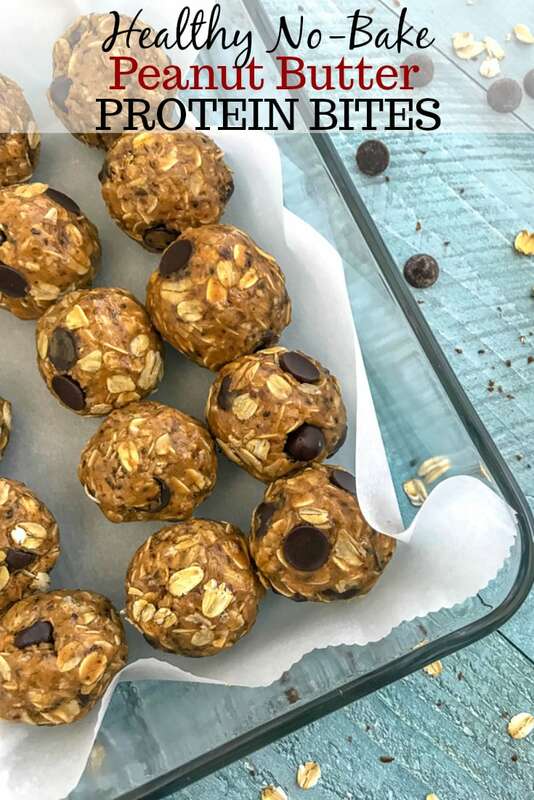 These bites are loaded with old fashioned oats, creamy peanut butter, and flax seeds. Sweetened to perfection with honey and semi-sweet chocolate chips. 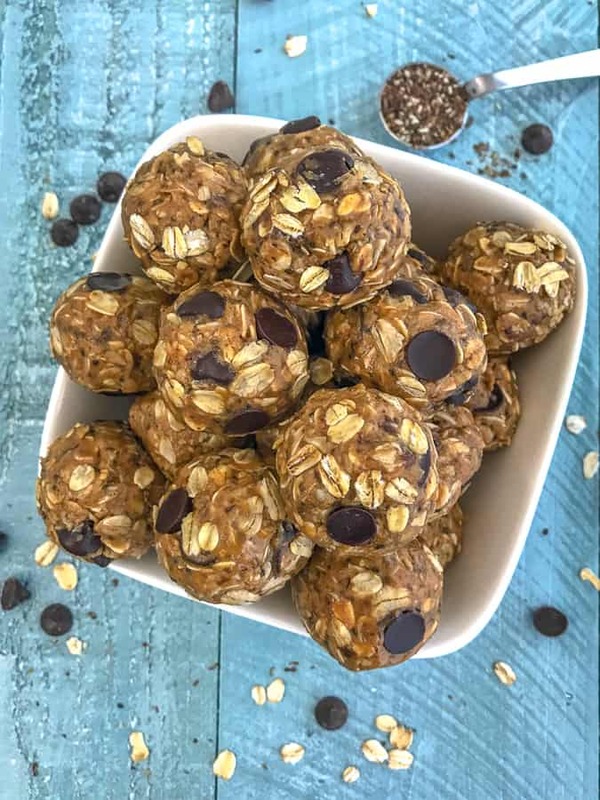 A healthy protein-packed option that works great for prepping ahead for a grab-n-go breakfast or snack! Naturally, I had to create more of a meal or snack option out of a jar. I can make a meal out of a jar of peanut butter alone, don’t get me wrong. But my husband prefers concoctions made from peanut butter rather than spoonfuls of it. Crazy, silly man. The best thing about this recipe is the versatility. 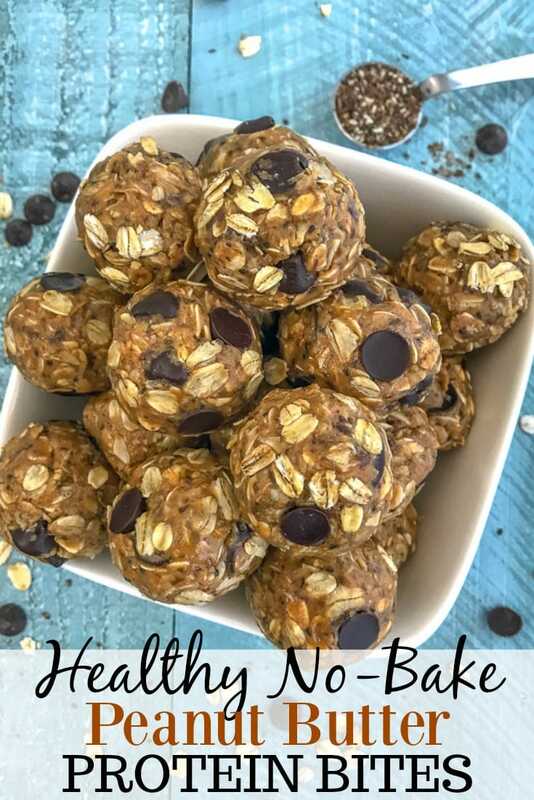 If you’re not a fan of chocolate chips, sub with nuts or dried fruit. Or replace it with dark chocolate for a healthier option. Prefer almond butter or cashew? Swap the peanut butter out for the nut butter you prefer. I could go on! That’s the beauty of recipes like these! That’s it! 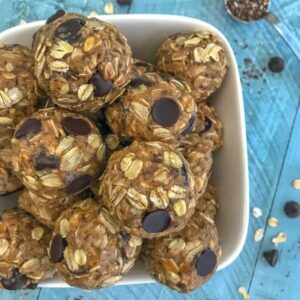 Just a handful of ingredients that I am sure you have in your pantry right now! And if you don’t, I have linked the items (such as ground flax seed and chia seeds) above, as well as in the printable recipe card below! All you need to do is mix well, refrigerate, roll and gobble up! Cookie Scoop – truly helps and is the easiest way to handle/roll out these bites, as they are sticky. Also a great way to make sure each bite is portioned correctly. Parchment Paper Sheets – no cutting needed. Simply pull out the parchment sheet and use! I store my bites in an airtight container and divide them with one of these sheets. Glass Food Storage Container – these work great for storing in the fridge or freezer. 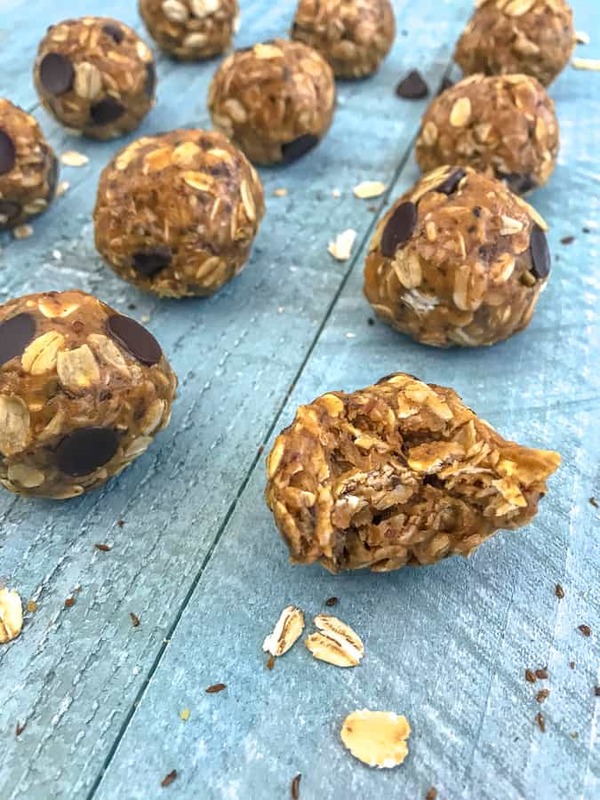 Use a cookie scoop to portion out and roll the bites. It makes life so much easier to use one of these, as well as guaranteeing you will end up with 12 bites! These bites are a bit sticky to roll, which is why the cookie scoop works great. Less time rolling with your hands. I would be quick to roll these or place them into the freezer for a few minutes to help harden them prior to rolling. Store in an airtight container in the fridge for up to 1 week. They are freezer-friendly. Use parchment paper to separate them if stacking in a container. If the mixture seems dry, add 1-2 tablespoons of additional honey or peanut butter. If the mixture seems to be too wet, add a little extra oatmeal or ground flax seeds. The balls should be firm and chewy, as well as a bit sticky. 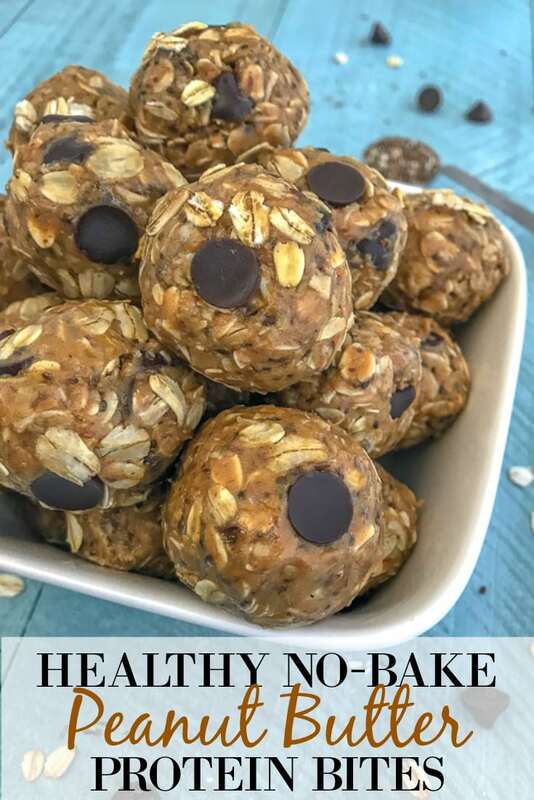 Easy to make and super delicious make ahead breakfast or snack option! 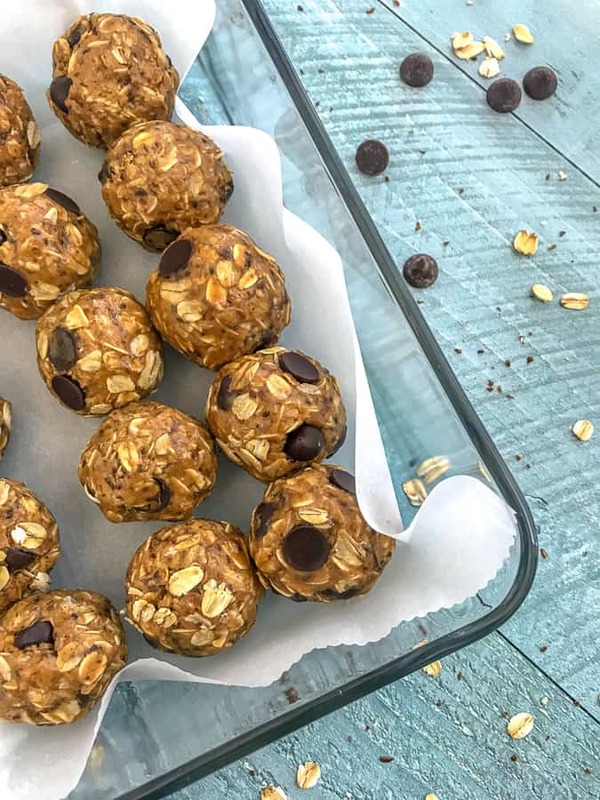 These Protein Bites are kid-friendly, customizable, and sure to be a hit with your family. Combine all ingredients into a large mixing bowl. Mix very well. Cover with plastic wrap or a lid and into the refrigerator for 20-30 minutes. This will help to make them easier to roll. Using a 2-tablespoon scooper, roll into 12 bites and store in the refrigerator in an airtight container for up to one week. Freezer for up to 3 months.